From now through May 13th, 2018, you can show your support for the youth by sponsoring their attendance to Camp Bibleway 2018. This is one of the most looked forward to events for our youth each year. It is a week of sports, teaching, fellowship, and most importantly, instruction from the Word of God. Each camper receiving sponsorship has pledged to read a portion of the New Testament. Beginning at 3:00pm, Friday May 25th, we will be reading outside, out-loud, and non-stop to all who are willing to listen. If the team goal is met, we will guarantee the reading of the entire New Testament from start to finish. Won’t you please consider sponsoring the youth for this life-changing week? Click here to download a flyer and pledge form. Please contact Bro. John G. if you have any questions or for further information. Subscribe to this blog for future updates! Congratulations 2017-2018 MRBC Quiz Team! The 2017-2018 Independent Baptist Youth Rally season ended with a great evening of quizzing and preaching this past Friday. We would like to give a well deserved congratulations to all the youth who participated throughout the year! The junior team won plaques in all three categories and the end of the year overall points award. The youth team won two of three categories, and the end of the year overall points award. We are looking forward to another great rally season next year! Go Team! If “an empty church is the devil’s delight,” come to church tomorrow, and let’s make the devil mad together! 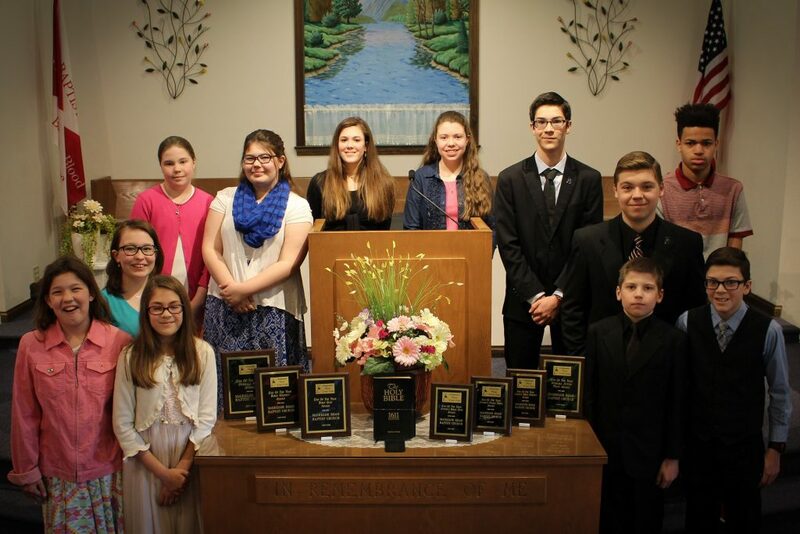 Come ready for a “Youth Takeover!” Tonight at 7pm, the First Baptist Church of Lizton Indiana will host the last quizzing and awards rally of the 2017-2018 season. We are looking forward to an unusual night where the youth will be conducting the service, and the adults can participate in the quizzing! Awards will be handed out to each church for their group’s quizzing throughout the year, as well as individual achievement awards. Don’t miss out on the last youth rally this season, and a chance to see the adults quiz! Bring your Nerf gun. Bring a snack. Most importantly, bring a friend to MRBC this evening from 6:30-8PM! This activity is for youth ages 10 and up, and of course, adults are always welcome. If you have any questions, please contact Bro. John G.
Sunday Church Services are a Blessing! Jesus started the concept of Church over 2,000 years ago, and we are still following His example to this day! It has often been said that church is not the building, it is the people, and this is a correct statement! To add to this thought, church is not just a place to gather, it is a place that Jesus Christ meets with His people to encourage and edify in the paths of Righteousness for His names sake! In preparation for church tomorrow, spend some time in prayer asking God to prepare us, as we meet with Him tomorrow at 9:30am, 10:40am and 6:00pm. Don’t forget! If you enrolled in the summer Creation elective at McGregor Road Bible Institute, the first class is this Saturday from noon-3pm. If you have not yet enrolled for the Fall semester or would like more information about MRBI, please click here to visit the institute page or contact us directly. 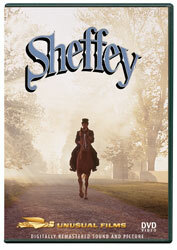 This Friday evening, at 6:30pm, we will be showing the movie “Sheffey”. It is the true story of Robert Sheffey, a rowdy young man who followed his friends to a revival meeting and there found the Lord. A man of prayer, tireless service, and great compassion, this circuit riding preacher carries the gospel through the Appalachian Mountains. This activity is open to anyone, so bring a friend! You won’t want to miss this excellent testimony of what God can do through his humble servants! The missions trip you’re on has taken a turn for the worst. You’ve been staying in a small jungle village for a few days now, and it’s just been overrun by a band of guerillas! Now you’re locked in a small shelter in the jungle, in the middle of nowhere! This Friday night, from 6:30-9:00pm, come prepared to escape the jungle @ MRBC. This activity is for youth ages 10 and up, and of course, adults are always welcome. If you are planning to attend, please RSVP to Bro. John G, or fill out the sign-up sheet in the church foyer.